I've had so much fun with Prudence! 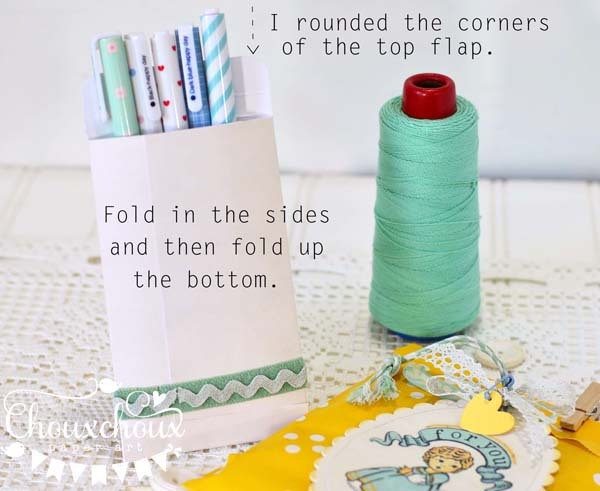 This is the second post - if you want to see the darling Mending Kit, scroll down one post or click HERE. I created a tag and a To Do list. (The To Do list can be downloaded below.) I also made a little packet - it's perfect for holding some pretty pens (also perfect for something yummy - like chocolates). It's the closest to the original vintage packaging. Download and print the Prudence image below. Cut it out and score. 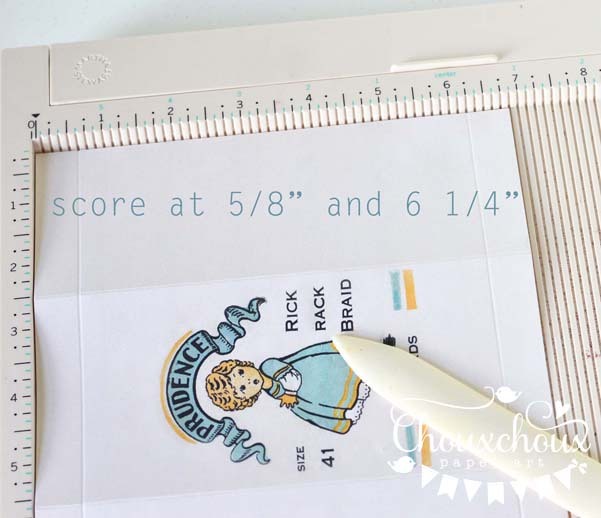 Cut off the 4 outer corners created by the scores. Fold on all scores. The image I created for the tag has a blank banner to stamp. I added a little bit of color around the edges and some other goodies. 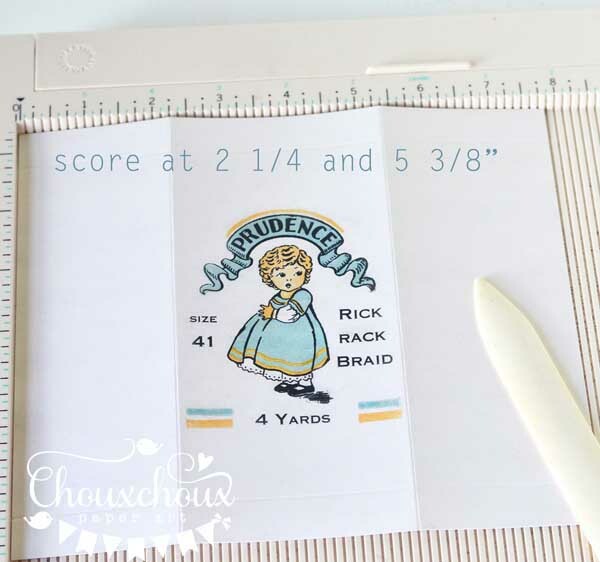 You can download Prudence HERE - this is the one I used to make the packet. 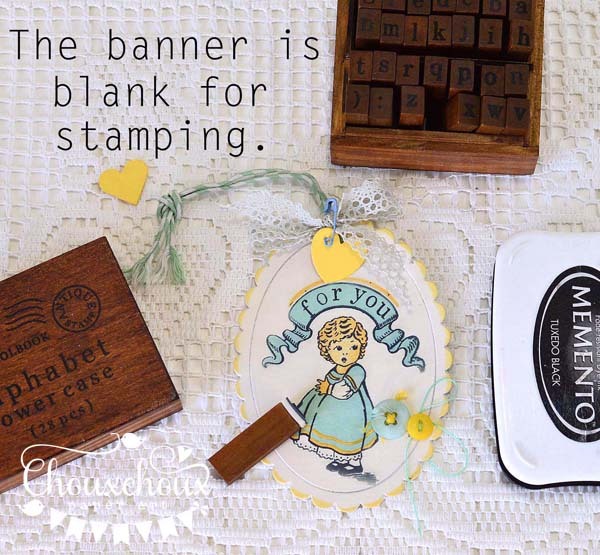 Download Blank Banner Prudence HERE - this the one I used to make the tag. 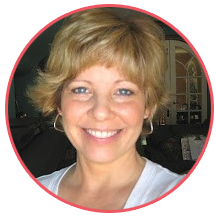 Download the Prudence To Do List HERE. 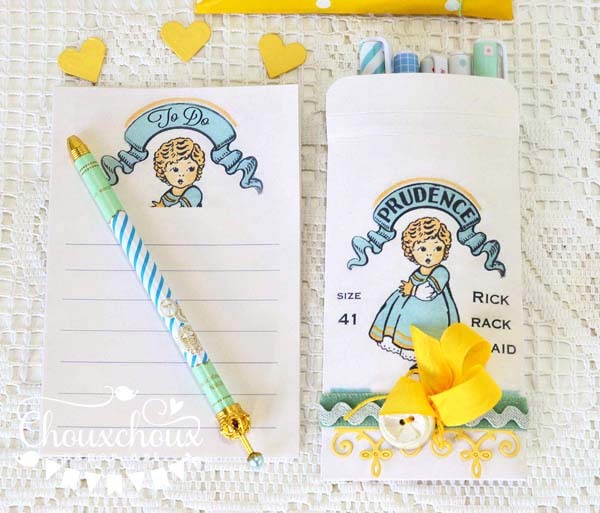 So, what else can I create with Prudence? I'm sure there are a lot more things I could do. 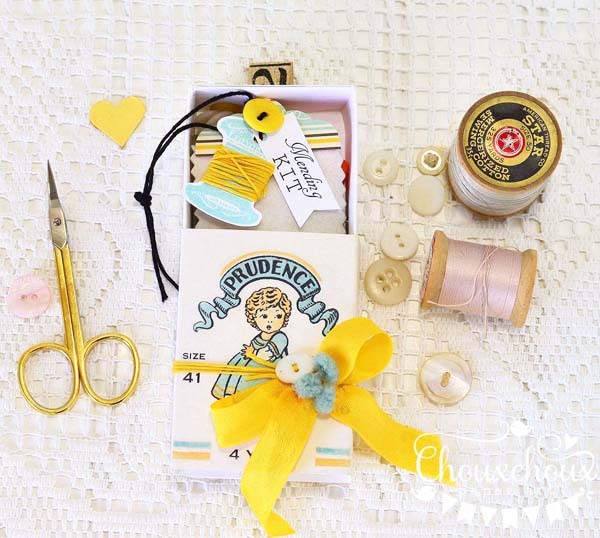 If you would like to see the directions for the mending kit and get the download, click HERE. I'm looking forward to the holiday on Friday & Saturday - have a good weekend, everyone! 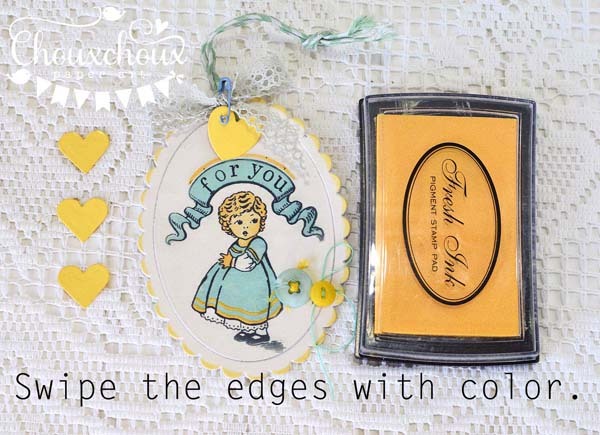 You make the sweetest things...love the vintage image, thank you for sharing! These are all so adorable Lori. I can't wait to see what other ideas you come up with. So cute and I love how you make up your own little boxes. TFS and have a great week. 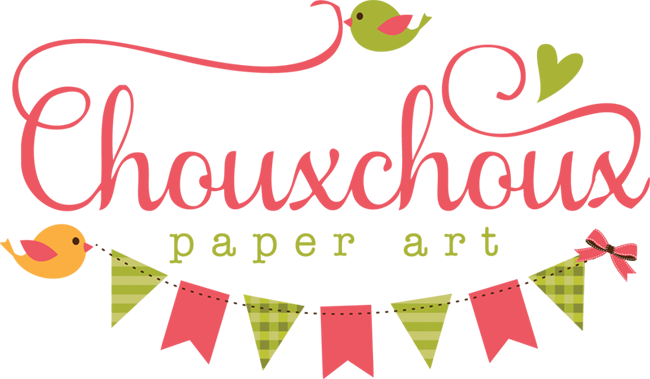 PaperDoll FUN + Free Images! Party Kitty Shaker and Wand (Free Image, too)! 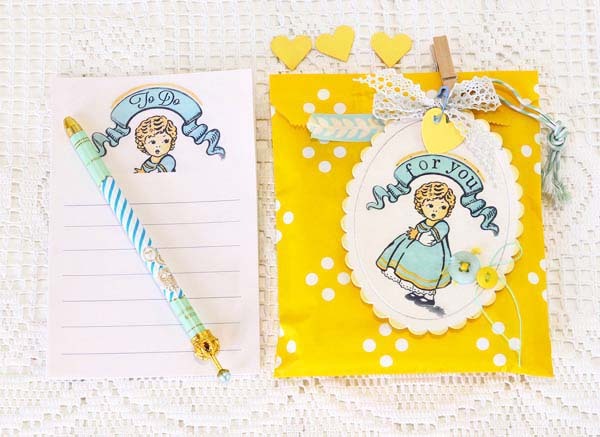 Tags for Download: Minc (or not)!